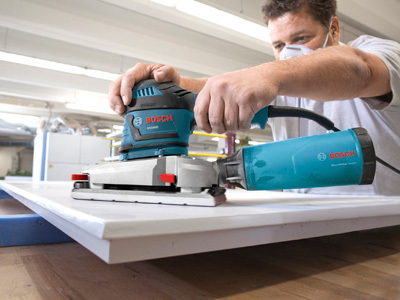 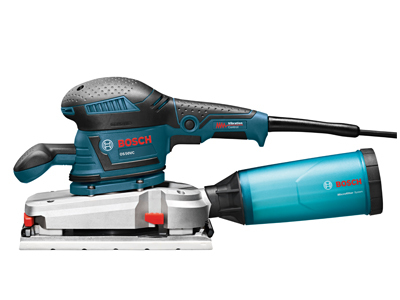 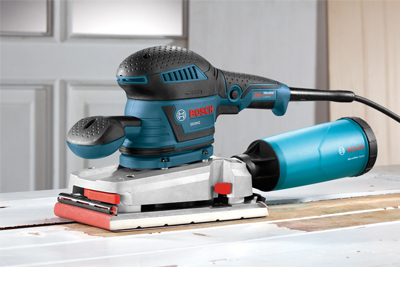 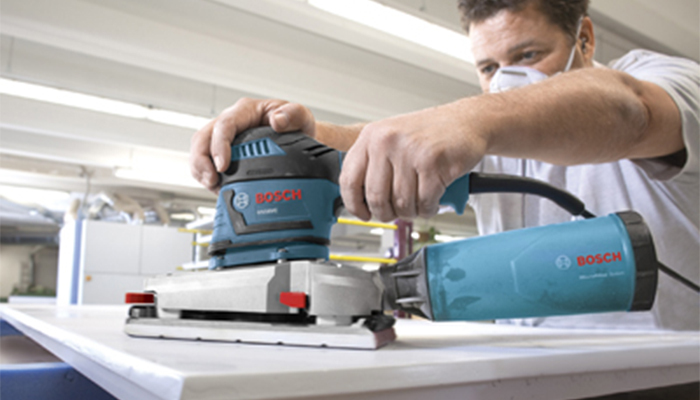 The Bosch OS50VC 1/2-Sheet Orbital Finishing Sander helps users to achieve perfect paper fit with the SheetLoc™ Supreme paper-clamping system. 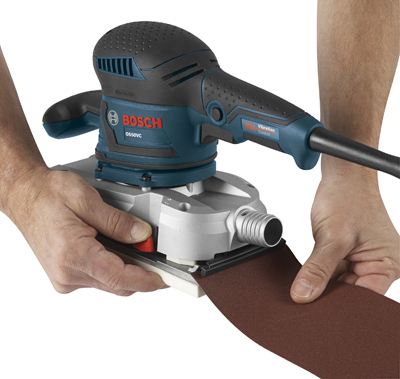 This increases the life of regular sandpaper. 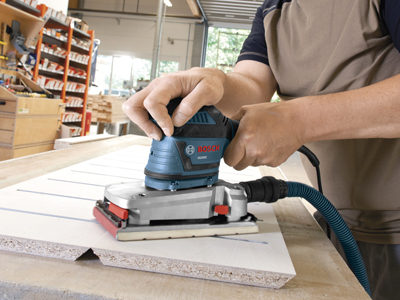 The tool comes with a high-performance extra-soft microcellular backing pad that conforms to many contours. 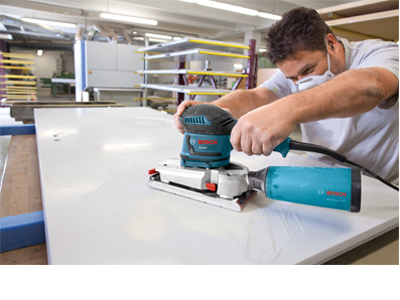 Designed for kitchen installers, painters and cabinet makers, this sander features a Vibration Control suspension system that minimizes vibration for superior handling. 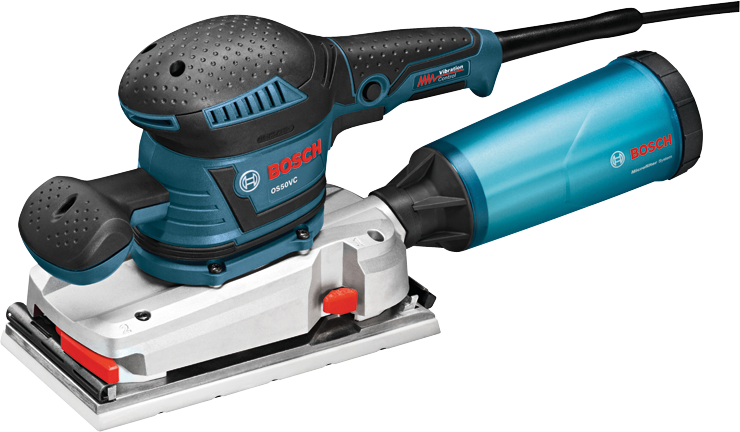 The powerful 3.4 Amp motor allows for a high removal rate, while multiple soft-grip locations improve ergonomics and reduce hand fatigue. 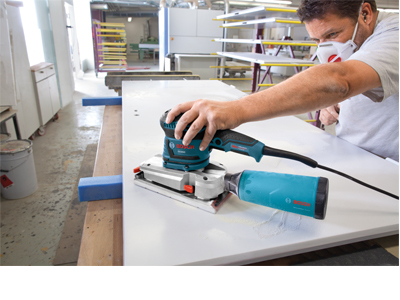 Two dust collection systems help keep your workspace clean, including a translucent microfilter dust canister with integrated paper filter, as well as a vacuum hose connection with airflow control. 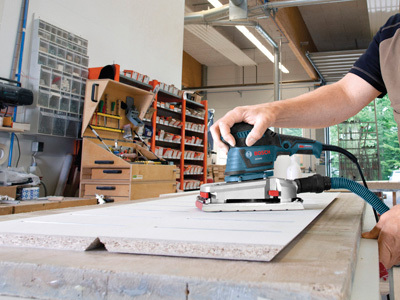 Match the speed and power to the workpiece and task for optimal performance with the variable-speed dial. 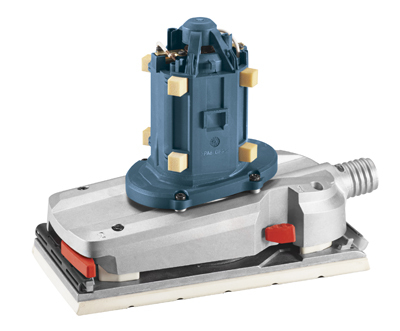 The rugged die-cast aluminum gear housing eliminates wobble and vibration and extends the life of the tool. 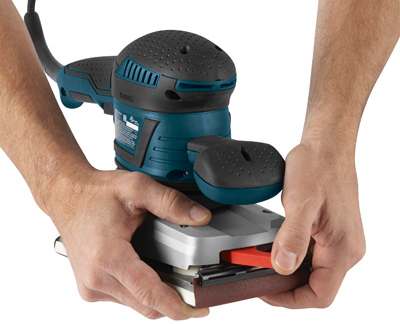 Pad Size 4-1/2" x 9"